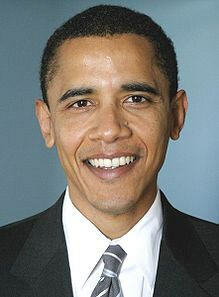 U.S. President Barack Obama has won the 2009 Nobel Peace Prize. The Norwegian Nobel Committee in Oslo recognized Mr. Obama for "his extraordinary efforts to strengthen international diplomacy and cooperation between peoples." The committee said it had attached special importance to the president's vision of and work for "a world without nuclear weapons. In announcing the award, the Nobel committee said that under Mr. Obama's leadership "dialogue and negotiations" are preferred as instruments for resolving "even the most difficult international conflicts." The committee said the U.S. leader has "captured the world's attention" and "given its people hope for a better future." It added that thanks to Mr. Obama's initiative, the U.S. is now playing a "more constructive role" in meeting the "great climatic challenges the world is confronting." The peace prize comes as the U.S. is involved in two wars, in Iraq and Afghanistan. The prize is worth almost $1.5 million and will be handed over on December 10. Mr. Obama, who has been in office for less than a year, is the first African American president. His mother was from Kansas, his father from Kenya.